We make wine to be enjoyed. It’s what we’re good at and what we’ve been doing for the last 30 years. We focus on quality and value. Our wines are made to be enjoyed on any occasion from picking up a great bottle to enjoy with friends, to something a little more refined for a special occasion. What does that mean? It means we grow our own fruit, make the wine, bottle, package and dispatch it. It means we have our own team of dedicated Account Managers and administrative staff working with our customers around the world. It means Jill and Dayne Sherwood are at the winery every day to ensure our quality and service remains at the highest level. It means every bottle of Sherwood Estate Wine is made with personal care and attention. Sherwood Estate Wines was started by Jill and Dayne, a couple with a dream to do what they loved. 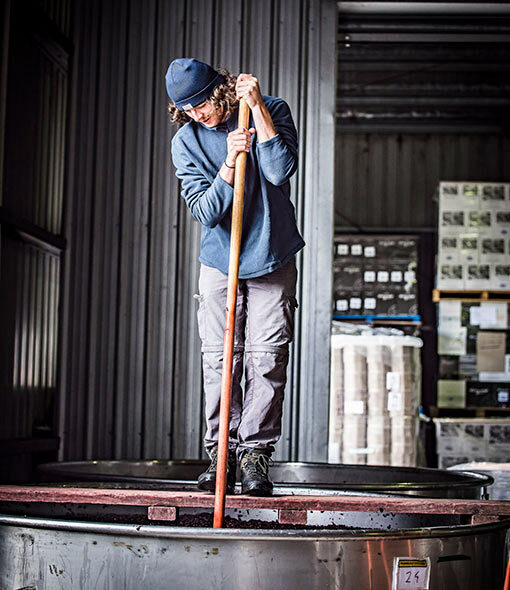 For them winemaking has never been a job, it’s a passion that was born from a love of great wine. The Sherwood name is on every bottle, showing Jill and Dayne’s commitment and personal assurance of quality for every wine we make. As someone once said: Great wine is made in the vineyard. All our vineyards and our winery are in the Waipara Valley, a sub-region of north Canterbury on New Zealand’s South Island. Our winemakers work closely with the vineyard team, letting the fruit dictate the winemaking process. You may have noticed our name on our labels. We are family owned and independent. This means we have earnt our place in your glass through hard work and dedication to creating wine of great quality and value. We only make wine that we are happy to share with our friends and family. For us, wine is about enjoyment and putting quality above everything else. We make wine that is quality focused and great value for you to enjoy on any occasion. We proudly make wines from grapes grown in the stunning Waipara Valley. The unique climate and growing conditions of this area produce truly exceptional fruit. We are proud of our little corner of the world and want to share this love with you through our wines. You can find our wines in stores across New Zealand and Australia, as well as over 20 countries worldwide.